Purchase two qualifying Blu-rays at Amazon and save eight bucks! For a limited time only, Amazon has a selection of Blu-ray movies that knocks an additional $8 off the total when two are purchased together. 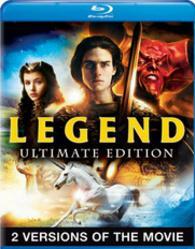 Some highlights include 'Legend: Ultimate Edition' for $14.99, 'Meet the Parents' for $12.99, and more! Plus according to forum member Wolvie, free shipping is based on the pre-discounted price!